Nestle has borrowed from Roald Dahl children’s classic ‘Charlie and the Chocolate Factory’ and unveiled a real gold-wrapped Kit Kat bar to Japanese consumers. The company has made 500 versions of the bar - hidden in conventional packaging - which is wrapped in a thin layer of gold. The promotion is designed to boost Kit Kat sales during the holidays. 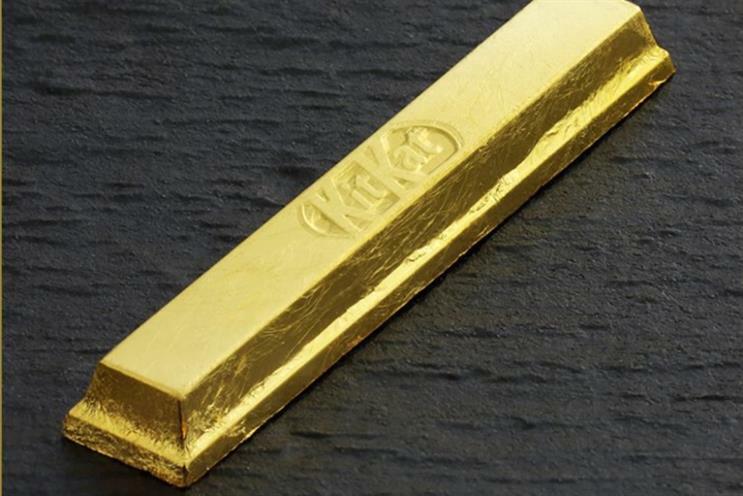 Alex Villela, Nestle Japan’s executive manager, said: "When you present a KitKat wrapped with gold, you're actually making the very best wish for the person through the year." Apple has spoken out about the UK government’s investigatory powers bill, or ‘snooper’s charter’, arguing that it will weaken online security for both consumers and make it more vulnerable to terrorist and hacker groups. In a submission to the bill committee, the tech company has called for changes to the bill. It said: "We believe it would be wrong to weaken security for hundreds of millions of law-abiding customers so that it will also be weaker for the very few who pose a threat. Apple highlighted several examples of where the bill’s powers would compromise online security. For instance, it said passages in the bill could give the government the power to demand that Apple alters the way its iMessage service works, weakening encryption so security services can listen in. 2015 was a year that many of the world's biggest brands would rather forget. Marketing unveils the year's biggest marketing blunders. The past 12 months delivered marketing that was controversial, groundbreaking and, at times, baffling. Here are some of the year's biggest marketing stories.